Tuesday, Tuesday. And the second Tuesday of the month, which means I'm spending the day over at Or So She Says. We're down to the week before St. Patrick's Day. Do you need a quick, fun activity to do at a party, or just at home with your kiddos? Well, come and visit me today. I have a printable St. Patrick's Day tic-tac-toe game you can have ready to go in no time. 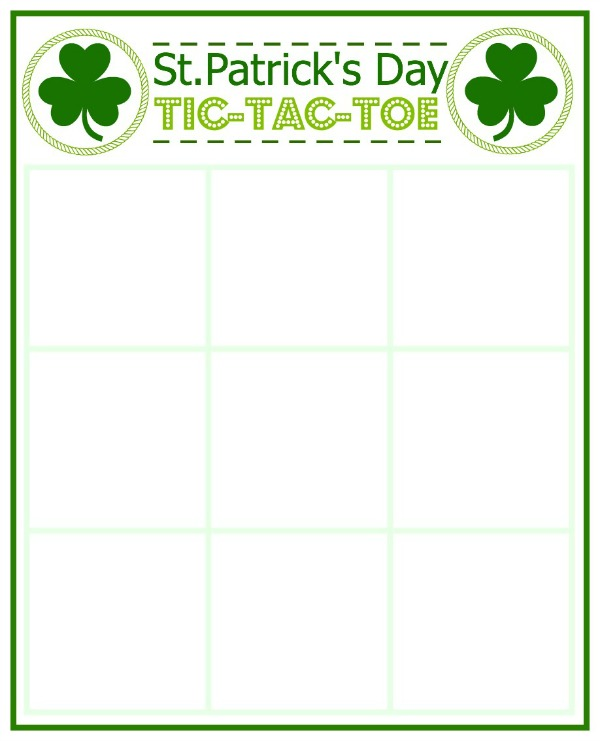 You can print out the game board, and two different sets of shamrocks. Simple, quick, easy, and sure to be a hit with the kids. Three in a row wins! P.S. Any leprechaun sightings at your house as of lately? We've had a few shamrocks, and treats left from a mysterious visitor over the past few days. My boys are gearing up their trap for the big day! Awesome post. I appreciate your post that you have shared. Thanks for sharing your creative work.